A rare execution of the Panda chronograph theme in grand feu enamel. Panda dials are favourites among watch aficionados. These racing-inspired timepieces with white or silver dials and contrasting black sub-dials became all the rage during the 1960s and 1970s, with sports chronographs providing high contrast readability. Their modern-retro flair never went out of style. But as classic as the panda dial has become, it has rarely been executed in enamel, one of the most traditional manufacturing techniques – the only example we have found is a Jaquet Droz “reverse panda”. 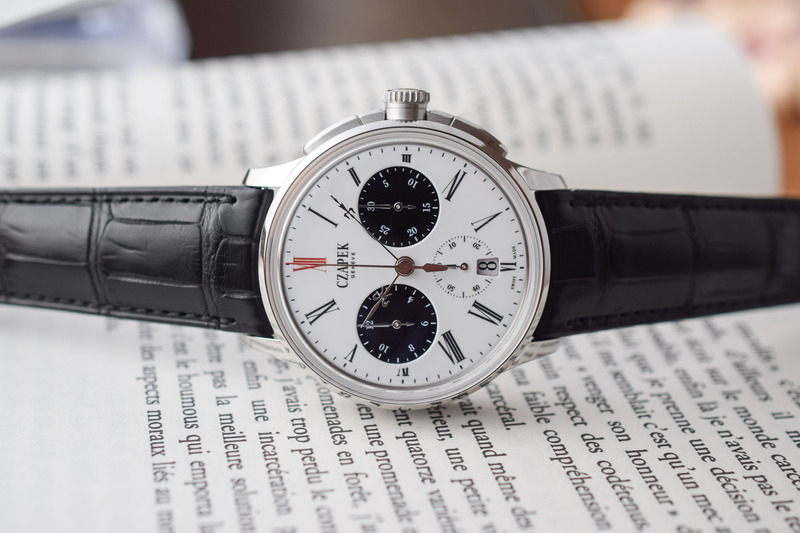 Czapek is about to change that with its new Faubourg de Cracovie Chronograph Tao “Panda”. Most often, enamel dials are used for dress watches and the panda dial is a distinctive feature of a sports chronograph. In addition, if crafting an enamel dial is already challenging, making intense black sub-dials on a white plate is even more complex. Black reveals the slightest flaw. These are small dials in their own right, manufactured separately and welded to the main dial… plus, there is also a secret signature in the 9 o’clock sub-dial. The end result of this painstaking process is magnificent. 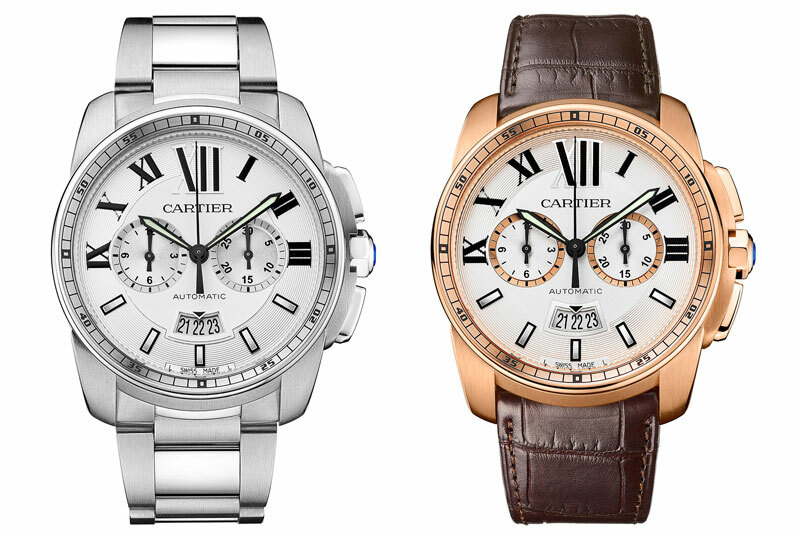 The contrasting dial is intense and will never fade. The dial features elongated Roman numerals with the XII in scarlet red. 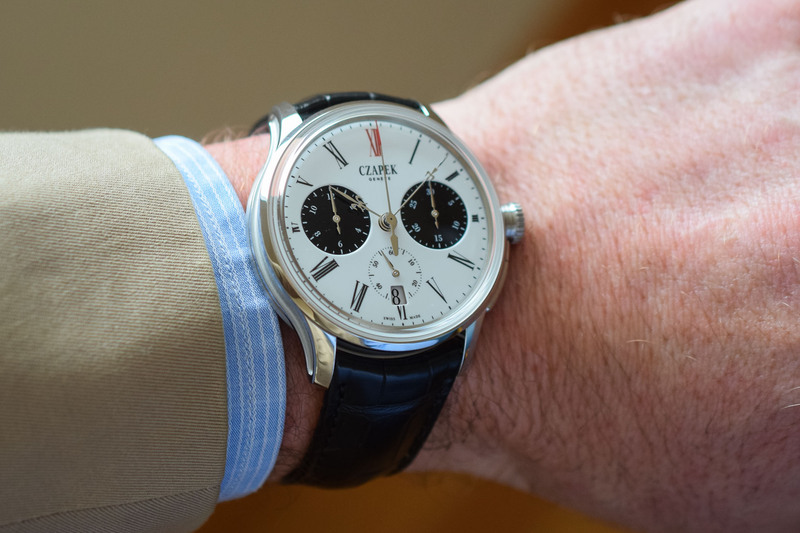 It is paired with fleur-de-lys hands and a red-tipped chronograph seconds hand. A cut-out at 6 o’clock displays the date. 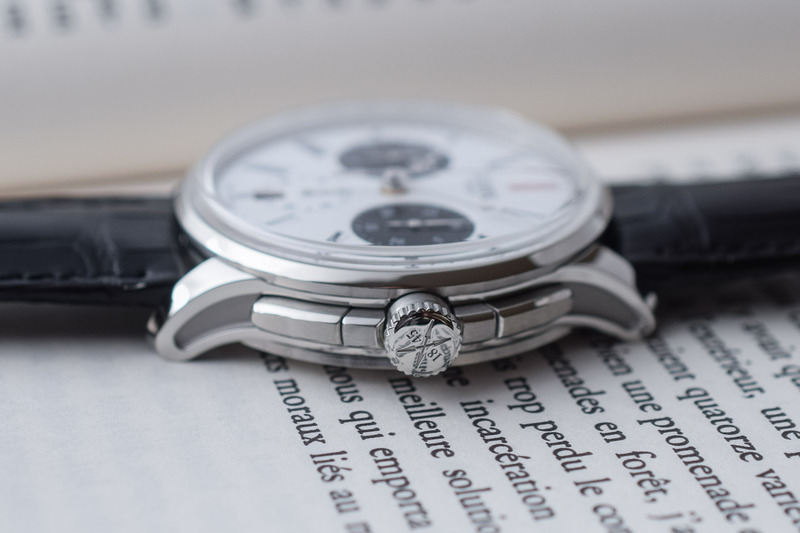 Just like previous iterations of the Czapek Faubourg de Cracovie, the Tao version is presented in a 41.5mm steel case. 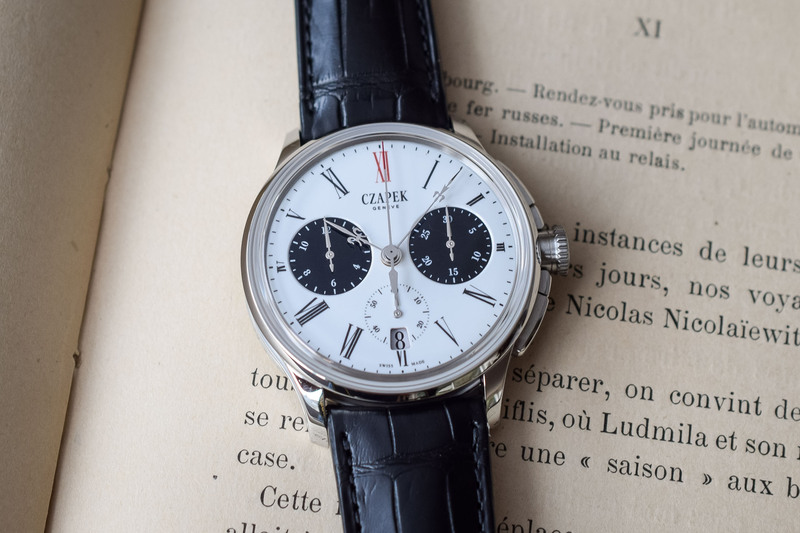 The Czapek signature crown guards also serve as chronograph pushers. A vintage yet sporty box glass sapphire crystal is placed above the inner edge of the bezel. The lugs taper downwards, ensuring great wrist comfort. Inside is the self-winding Calibre SHX3, an integrated column-wheel chronograph produced with Vaucher Manufacture Fleurier. At 30mm in diameter and just under 7mm thick, this modern movement combines efficient and high-grade solutions for crafting chronographs. 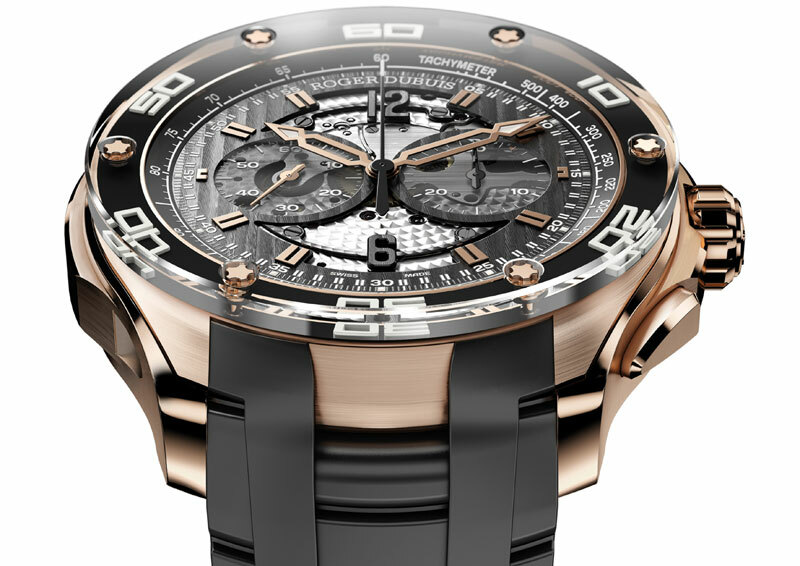 The chronograph mechanism is coupled with a vertical clutch. Its functions are commanded by a column-wheel. It features a one-piece reset hammer, a simple and effective solution to simultaneously reset the chronograph hours, minutes and seconds and acting on the respective heart cams. 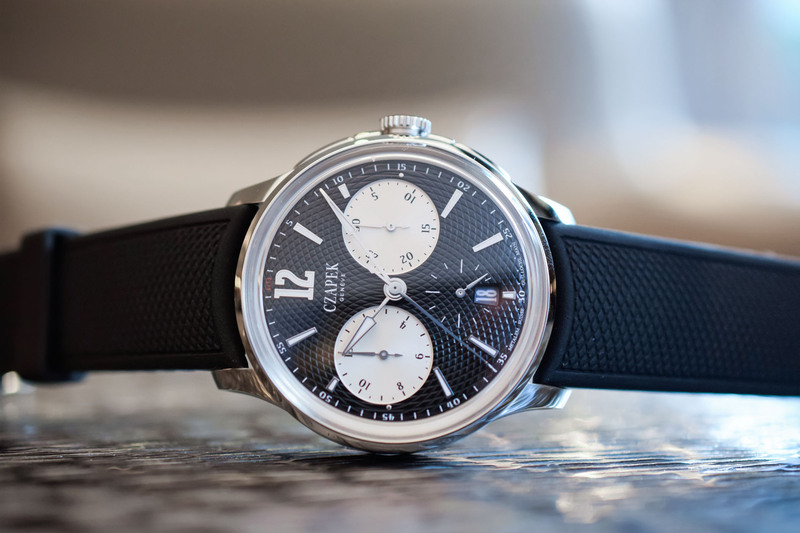 Last but not least, this calibre operates at 5 Hz, just like Zenith’s iconic El Primero. This allows for 1/10th of a second, chronometer-certified precision. 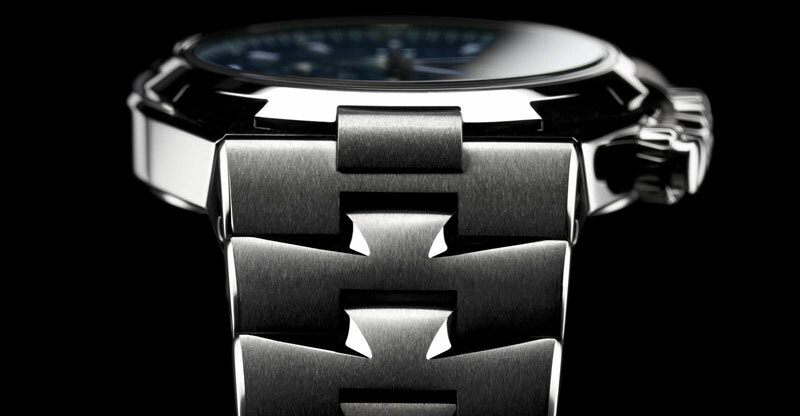 The power reserve is a robust 65-hour when fully wound. 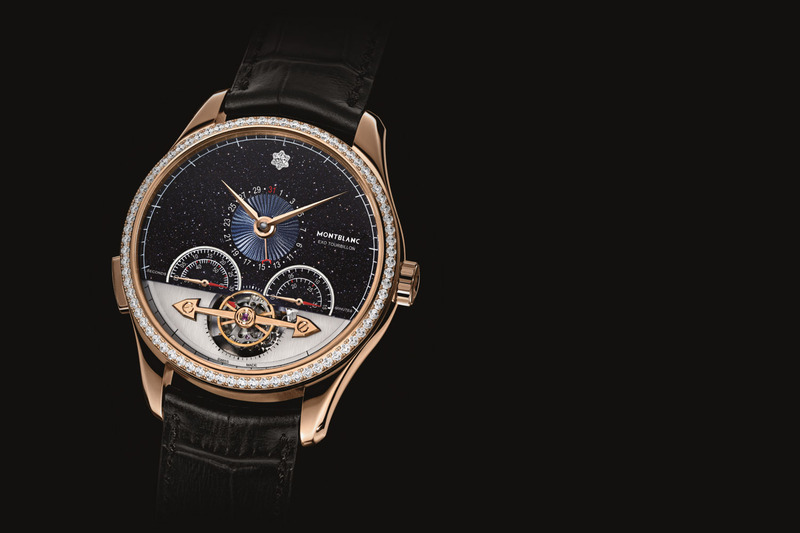 The exhibition caseback is fastened by seven screws and allows a view of the intricate mechanism and its decoration. The golden rotor is engraved with the Czapek & Cie logo; the anthracite bridges are finely sandblasted and diamond polished. 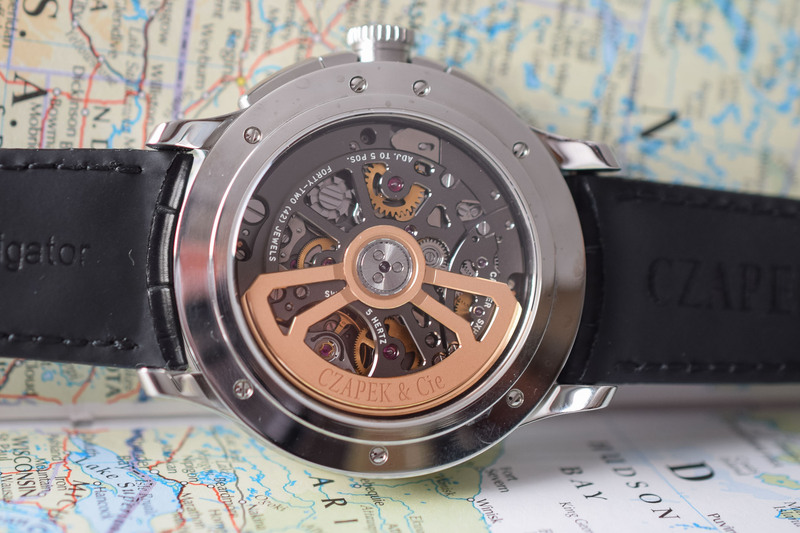 The Czapek Faubourg de Cracovie Tao is worn on a large-scale alligator leather strap secured with a steel folding buckle. Price is set at CHF 25,500. 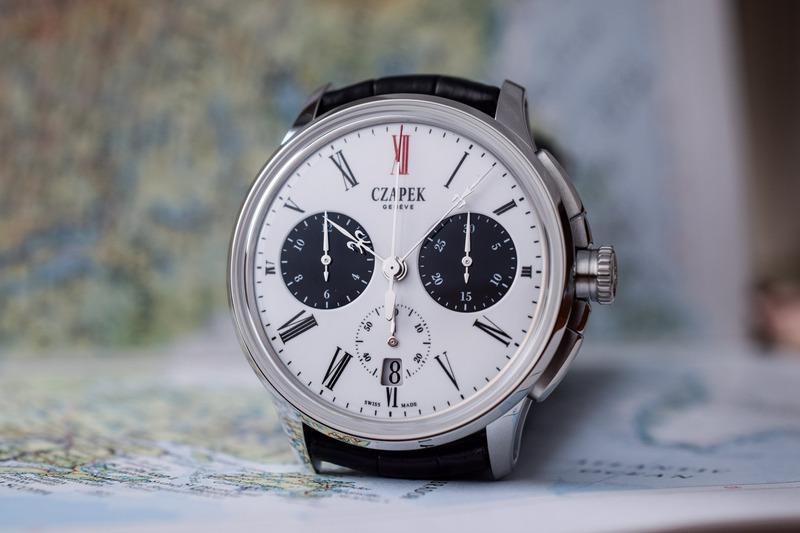 For more information, visit www.czapek.com. Great piece – except for the truly horrible date. Why, oh why?